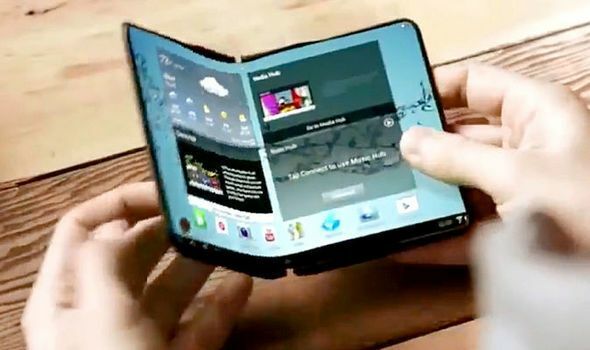 The Samsung Galaxy X should be the world's first truly foldable phone but it's more than a giant screen that folds into your pocket that you should be excited about. This could be a game changer for battery life and scratch-free screens. The Samsung Galaxy X foldable phone leaks are starting to really pick up pace now. As a result we've learned that a 7-inch OLED screen should be the star of the show. This is expected to fold lengthways but not exactly in half so as to leave a little screen at the bottom for notifications when folded shut. The reason this is so significant is that it could be a way to keep using the phone without the entire screen fired up. That could represent a huge power saving that extends battery life beyond current phones. But that's not all. If you're carrying this phone around in your pocket or bag, folded down, the screen is going to be far safer. So by simply adopting the latest folding tech you could also be trying out a new way to protect phone screens that may spell the death of the phone case. Even the way this phone folds will mean the top part juts over the small exposed screen to keep that better protected. In an age where cracked screens and poor battery life are the main issues with phones, a folding smartphone may fix these problems using a design that at first glance could seem like a fad. Here's hoping Samsung pulls it off ready for the big reveal expected early next year at MWC 2019.